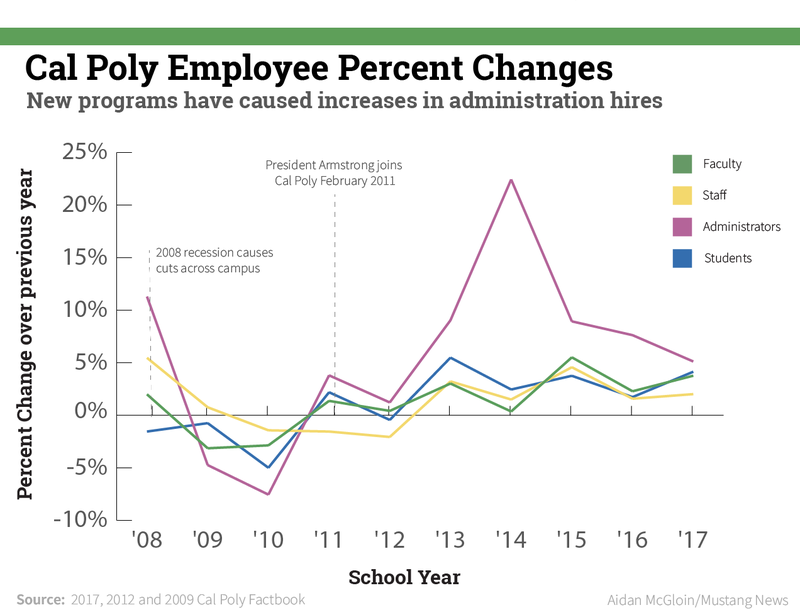 Ten new administrative positions were created and filled last year — a decrease in the growth of administrators on Cal Poly’s campus. Administrative hires have outpaced hires for tenured and tenure track faculty since 2007. Tenure track faculty have not recovered from the 2008 state furlough in terms of full-time equivalent employees. Tenure track faculty are typically either on their way to achieving an indefinite hire, called tenure, while tenured faculty have already achieved it. 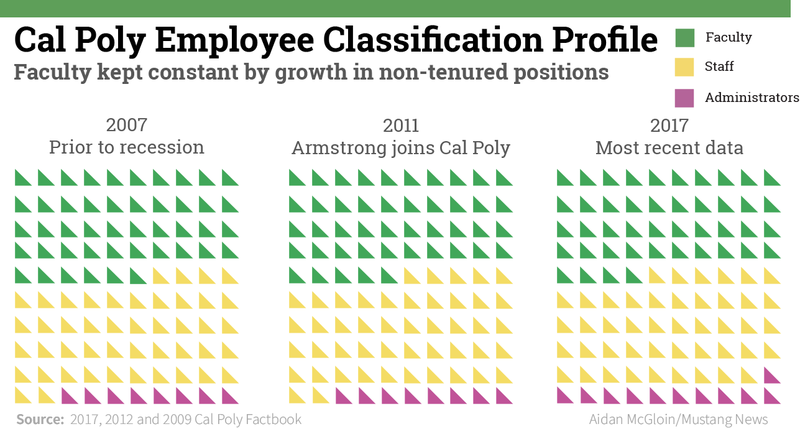 The number of administrators has grown 69 percent on Cal Poly’s campus since 2007, while the amount of tenured and tenure-track professors has decreased by 2 percent. 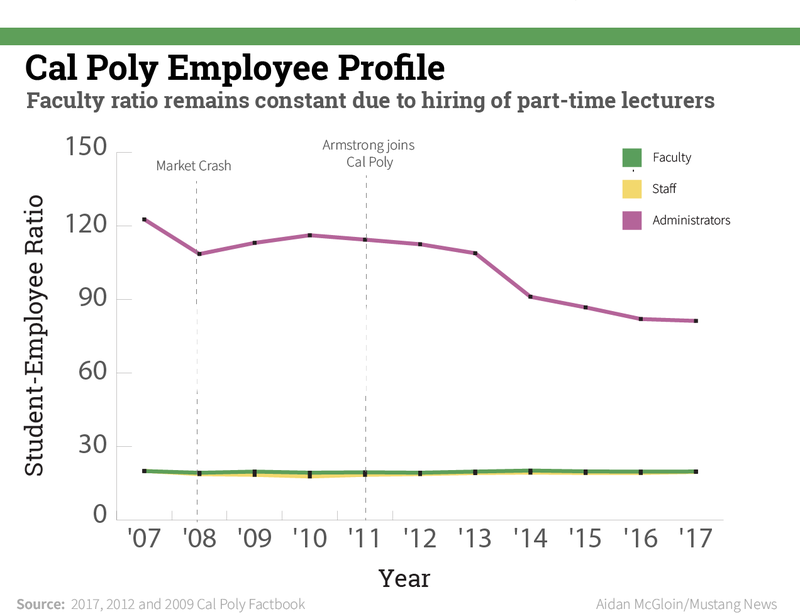 Cal Poly employed 10 fewer paid full-time equivalent tenured or tenure track professors in 2017 than in 2007, while enrolling 2,411 more students according to data from the 2009 and 2017 Cal Poly Fact Books. 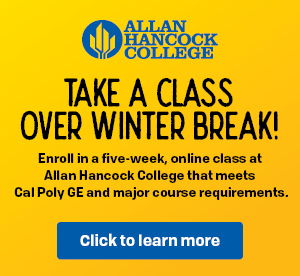 Paid full-time equivalent is a classification for employees that Cal Poly reports, essentially meaning an employee works full-time over the school year. 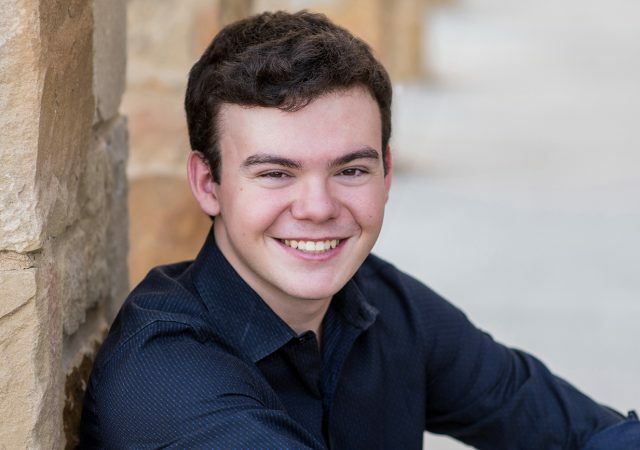 Cal Poly’s California Faculty Association president and history professor Lewis Call declined an interview due to the new nature of the report, and University Spokesperson Matt Lazier wrote over email that there were no available administrators for an interview when requested. 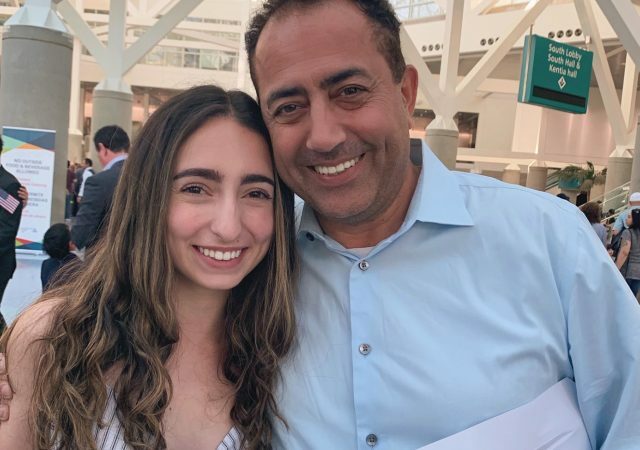 Stronger oversight for both hiring and compensation of management personnel was needed across the California State University system, a 2016 state audit said. The audit called for hiring analyses for new administrator positions, which Lazier wrote will take effect for the next group of hires. 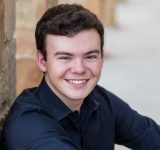 The audit said the analyses should determine whether the university’s number of new hires is appropriate to demonstrate that the university is providing new services in a cost-effective manner. 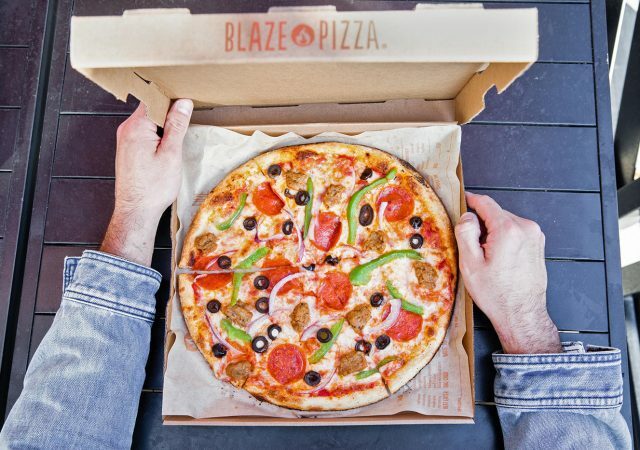 Previous policy caused hires on a case-by-case basis, the audit said, instead of ratio-based or numeric approaches. 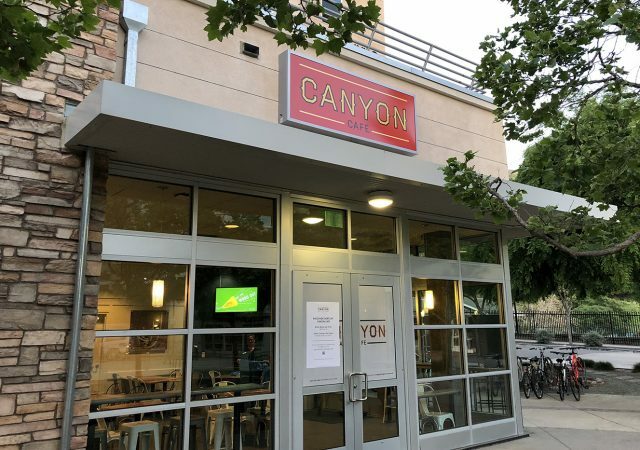 Cal Poly’s hiring of six new administrator positions to expand its housing program between 2007 and 2016 had a purpose that benefited students, the audit said, but not all of the hires may have been necessary. 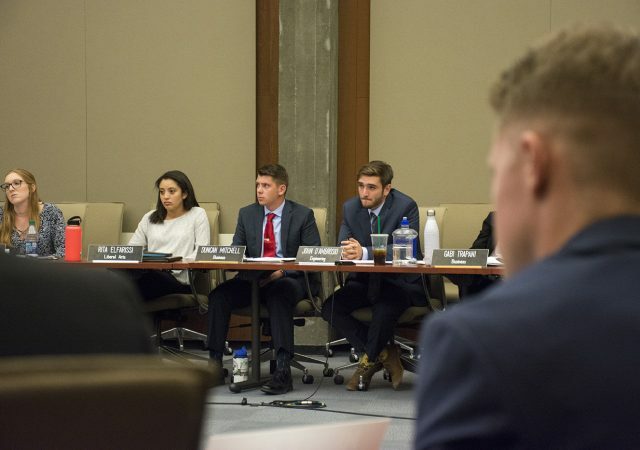 It [Cal Poly] was unable to provide any evidence that it performed a staffing analysis to demonstrate that all six of these positions were necessary to support the growth in this program. 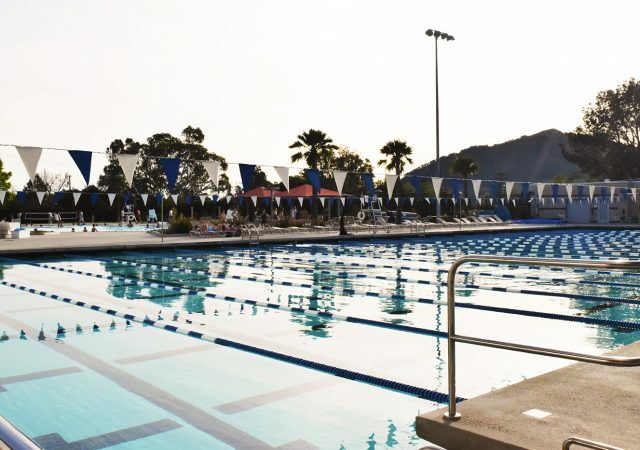 The new positions added this year include a Title IX Coordinator, an Associate Dean for Diversity and Curriculum and a temporary Director of the California Cybersecurity Training Complex. 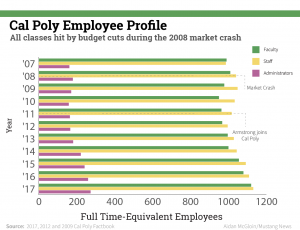 In 2017, there were 112 more administrators, 130 more full-time faculty, 145 more full-time staff and 2,411 more enrolled students at Cal Poly than there were in 2007, according to the 2017 and 2009 Cal Poly Fact Books. Both Fact Books were used because the 2017 Fact Book did not have data from 2007. 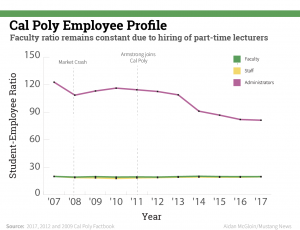 The amount of paid full-time equivalent tenured and tenure track faculty decreased between 2017 and 2007 from 64 percent of Cal Poly’s faculty to 59 percent, according to the 2017 and 2012 Cal Poly Fact Books. Although all faculty members play an important rule in providing student access to high quality education experiences through direct instruction in classroom and laboratories, the primary responsibility for student advising, program development and revisions, and shared governance, and implementation of shared University initiatives, such as the students’ success, and closing the achievement gap, rests really with tenured and tenure-track faculty,” State Assembly Woman Shirley Weber said in Sacramento April last year. 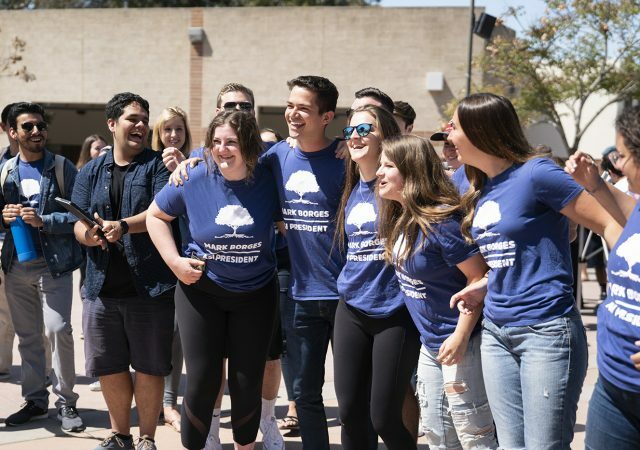 Weber had introduced a bill which would have required the California State University system to increase its tenured and tenure-track faculty to 75 percent of its faculty body by 2026. 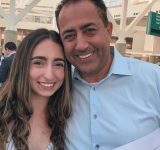 The bill had precedent: in 2001, state legislation passed a resolution encouraging the CSU system to increase the ratio to 75 percent by 2009, citing the need to maintain educational quality. The CSU responded with concern over the increase of temporary faculty hires. 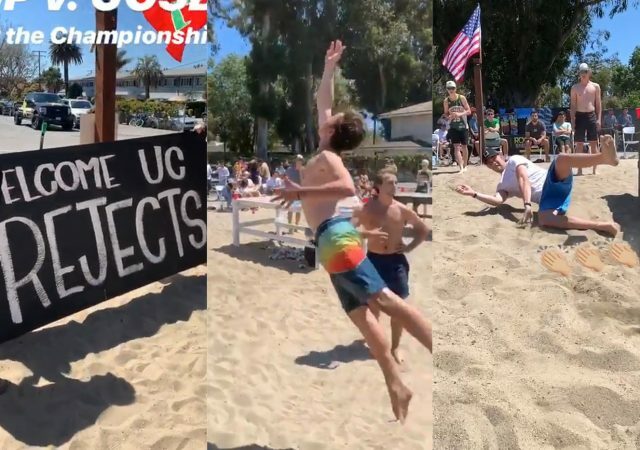 The system responded with a working group which “recognizes that the nature of lecturers’ employment relationship with the University results in a series of problems that negatively impact the quality of the overall educational experience offered by the CSU,” their response said. The student-faculty ratio stayed the same from 2007 to 2017, from 20 students per faculty member to 19.8 students per faculty member respectively. However, the student-administrator ratio decreased from 122.7 students per administrator in 2007 to 81.2 students per administrator in 2017. 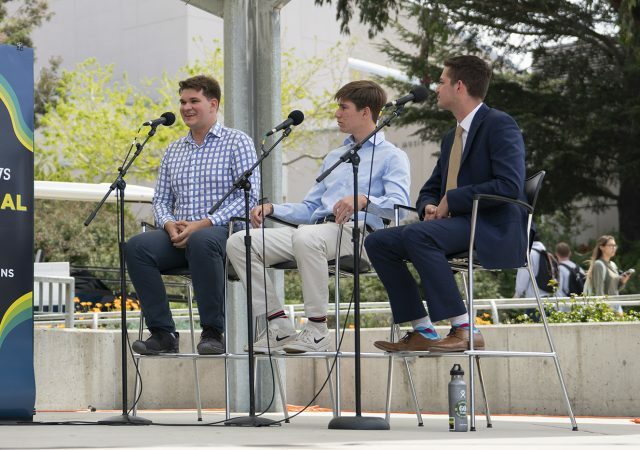 Cal Poly spent 7.5 percent more on administrators, 9.1 percent more on faculty and 8.5 percent more on represented staff in the 2016-2017 school year compared to the 2015-2016 school year, the new report shows. Information on employee spending going back to 2007 could not be found. 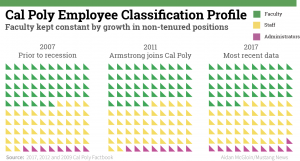 Cal Poly did not publish an administrator hiring report in 2007. 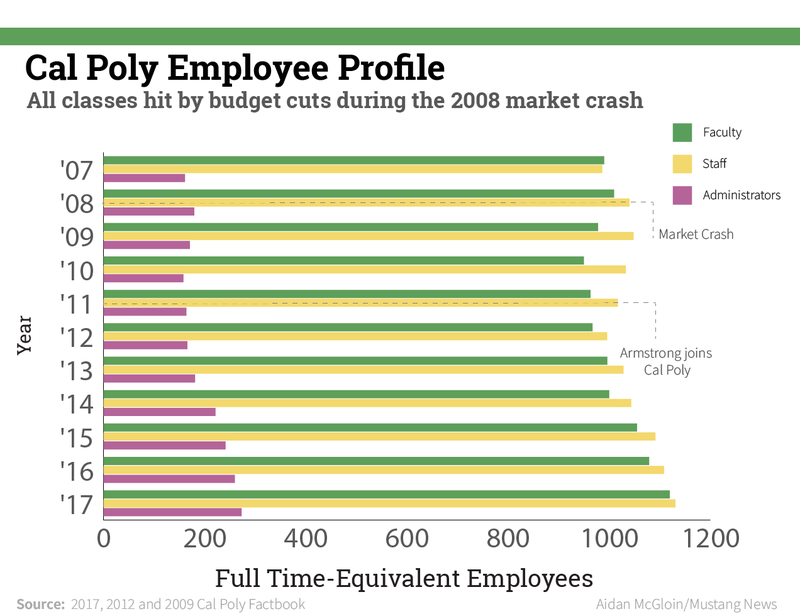 The 2008 market crash and resulting state furlough decreased the numbers of all of Cal Poly’s employee groups, the data shows. Faculty reached their pre-recession levels in 2015, while administrators reached their pre-recession levels in 2013. Depending on their classifications, average faculty salaries range between $62,000 and $107,247, according to the report. There are four types of administrators, labeled Management Personnel Plan (MPP) I-IV. The majority of growth in administrators over the last year falls in MPP II’s. The full report is on page 13 of this Academic Senate agenda.